Pair up players and have them sit back to back. One player holds a picture and the other player a blank piece of paper and a pen or pencil. The player with the picture describes the image, without using any specific words that will give it away. The other player draws the image described. At the end of a set time, drawers show their pictures. The best representation wins a prize. Create enough slips of paper for all the players to receive one. Mark all but two pieces with “v” for victim. The other two are marked “d” for detective and “m” for murderer. The murderer kills other players with a furtive wink. Victims “die” when they are winked at. The detective tries to find the murderer. When he does so, that player becomes the detective and another murderer is chosen. Play as long as the group enjoys the game. Have all the players stand in a circle and take turns laughing while looking at the person next to them. If someone starts laughing, they are out. The person left at the end of a set time is the winner of this simple, fun game. Although this is considered a children’s game, adults have a great time playing this old favorite. Have everyone sit in a circle of chairs with enough for each player, minus one chair. Use songs that are familiar to the group. When the music stops, whoever can’t find a seat is out. Keep removing one chair each round of the game. The last person remaining wins a small prize. Choose songs that will be familiar to the group based upon their ages and the composition of the group. Play each song for five seconds. The first person to call out the right title of the tune is the winner. Each player thinks of one lie and two truths about themselves. Players sit in a circle facing each other and take turns sharing. The person to the right of the first person to share their two truths and one lie guesses which the lie. If they are correct, they remain in the game. If not, they are out. The last person left wins this truth-revealing game. Put various small soft items, unusual toys, etc. in a large bowl. Blindfold players and have them take turns reaching in to the bowl and picking an object. They must identify the item they touch. Cover the bowl between turns so other players do not have the advantage of seeing the objects before their turn. Large groups need games that are organized, have easy directions to follow, and include all participants. Our selection of office party games for large groups includes both team and individual games. Make sure you access the size, age, and physical ability of your players before choosing a game to play from those provided. Divide your large group into two teams with each team being as equal in ability and strength as possible. Doing so makes the game last longer and increases the fun. Provide a long, solid rope and have each team line up, hold on to the rope, and pull. The team that either falls or lets go of the rope loses. You can also set a space in the middle for each team to avoid. When a team pulls the rope, causing the members of the other team to cross into their area, they win the game. Call to the side a person from the group and give them directions to stop at some point and turn in to a statue. Tell the rest of the group that if they see someone standing totally still like a stature, they must do the same immediately, freezing at the position they are in. The game begins when the chosen person becomes a stature and ends when everyone is standing still. The fun part of this game is the silly positions people end up frozen in. Have everyone write their name on a slip of paper and put the slips into a box, basket, or bag. Each person draws a name and uses words to describe the person. Everyone else guesses who is being described. You can play this as a team game and have team members compete to see which player makes the quickest guess. Divide your players into groups of three. Have them stand one behind the other, the tallest in the front and the shortest in the back. The last person tucks a piece of cloth like a tail into the back of their waistband. Each trio attempts to grab the tails of the other players and pull the tails off. The team of three who collects the most tails by the end of the game wins. 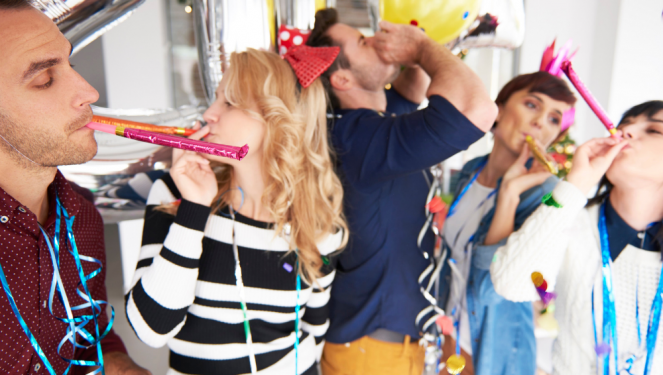 If one works in a small office, or games are needed for a work place unit consisting of few individuals, you will find our office party games for small groups effective for parties and anytime your employees gather in a group. They serve well as icebreakers and as ways for teammates to get to know each other better. Provide pencil and paper for each player. Instruct them to write the letters A to Z vertically down the left side. Set a timer for 2 to 3 minutes depending upon the difficulty of the topic chosen. Challenge players to find a word for each letter. The first player to complete their list or the one with the most answers at the end of the time set, wins this game. Choose one of the topics listed below or one of your own. For this fun game you will need two chairs and buckets, a large bag of cotton balls, a large serving spoon, a cloth or bandana to use as a blindfold, and a stop watch or timer. Put the two buckets on the chairs, one filled with cotton balls, about five feet apart, facing each other. Blindfold a player, hand them the large spoon, and instruct them to move the cotton balls from one bucket to the other. Make sure you twirl the player around a few times before they begin. Set the timer for a set amount of time, five minutes maximum. The player that gets the most cotton balls in the bucket before the timer goes off wins. If a player loses their direction, they cannot use their hands to find the bucket. Also, if they peek or use their hands, they are disqualified. Sometimes the player will lose direction and begin scooping from the wrong bucket, eliciting great laughter. Divide your group into two teams. Have an empty tissue box or another type of box with an equivalent hole in the side filled with ping pong balls. Attach the box to a belt and have each player attempt to empty the box by wiggling their hips. Players must remain upright and cannot use their hands. Each team member empties the box and passes it and the belt to the next player. The team that finishes first, wins. One person is chosen to give directions to the other players, such as “stand still,” “hop on one foot,” etc. The goal of this game is for each player to do the opposite of what they are told to do. If someone fails to do the opposite, they are out. The last player remaining wins this game. Most work places have a Christmas or winter holiday party of some type. Playing games keeps the party interesting and moving along, as participants do not get bored. 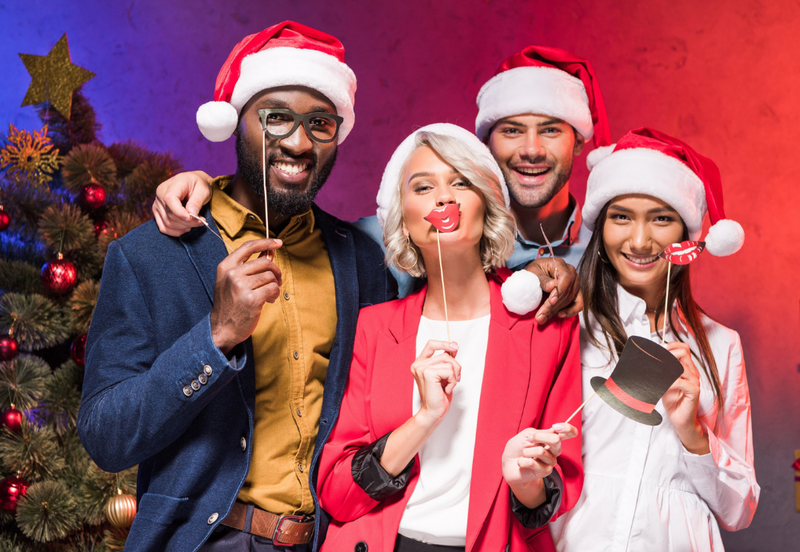 Time your office Christmas party, planning games for early in the evening, in the middle of the party, and just before it is time for guests to leave. Many of the following games require very little advance preparation or expense. Choose one or more based upon the size and composition of your group. Give each guest a piece of green construction paper and direct them to hold it behind their back. The goal is to rip the paper to make the shape of a Christmas tree. The best looking completed tree wins. If you do not have construction paper, you can have each guest blindfolded and draw a Christmas tree with a green marker or crayon on plan white paper. Divide your group into two or more teams, eight to ten players each. You will need a great many small unwrapped candy canes placed in two large bowls. A member from each team takes a turn placing a disposable chopstick in their mouth and attempting to move them to their team’s basket, bowl, or stocking. The team with the most candy canes after each team member takes a turn is the winner. Inflate green and red balloons and divide your players into teams. Give all the members of one team green balloons and all the players on the other team red balloons. Tie the balloons to one ankle of each player. The goal of this active game is to pop the balloons of the players on the opponent’s team without having your own popped. When someone’s balloon is popped, they are out. The team with the most players left at the end of a set time is the winner. You can also play this game with individuals attempting to be the last player left with the balloon if your group is very small. Play music and pass a small, gift-wrapped present or a large holiday bow around a circle of standing players. When the music stops, the player holding the present or bow is out. The player who is left when everyone else is out is the winner. As guests arrive, have them guess how many of something they see. They cannot take time to count but only make a guess. You can use one of the following items or choose your own. How many ornaments, bells, candy canes, etc. or the Christmas tree. How many gifts under the tree. Record their guesses and after everyone arrives, announce the correct answer and the name of the person who guessed the amount or was closest. You can give them a small prize if you wish. Inflate two to three balloons for each person playing with the number of balloons divided equally between two colors. Divide the room or party area in half using painter’s or masking tape on the floor or carpet. 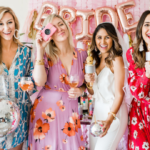 Divide your guests into two teams and instruct them that the goal is to get all their team’s balloons on the other side of the line while keeping the other team’s balloons away. After two minutes (longer if your teams are large), the team with the most balloons on the other side wins this fun and frantic game. Give each player wrapping paper, tape, scissors, ribbon, and a box to wrap. When you yell “Start,” players must wrap their boxes. The box must be completely covered and neatness of the finished wrapped gift is considered when choosing a winner. The player finishing first with a neat and complete wrapped gift wins this hectic challenge. 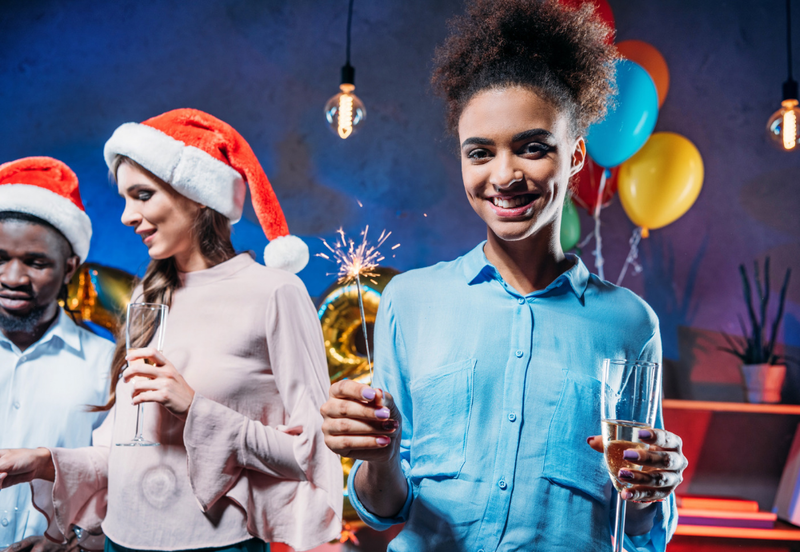 Not everyone gets excited when they hear it is time for an office party, as they have experienced some disappointing ones in the past. However, using our selection of office party games provide interest, fun, and relaxation. Make sure you take plenty of pictures of everyone attempting to win our games. You and your guests will all have a great time!